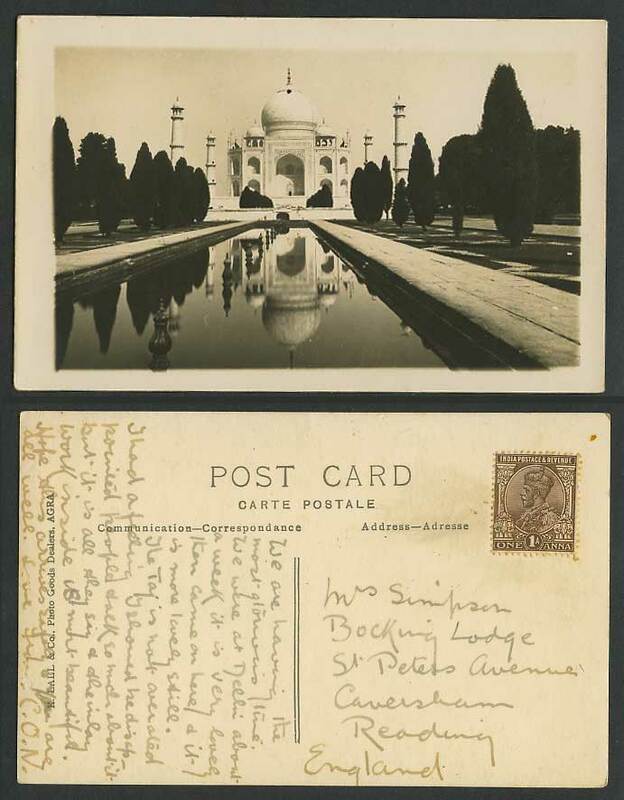 Vintage British Indian Real Photo Photograph Photographic Old Postcard, India, Taj Mahal, Agra. Fountains. Garden Gardens. Tomb of Emperor Shah Jahan and his beloved wife Mumtaz Mahal built in 1653 A.D. at a cost of 50 lac pounds. Built by Emperor Shah Jahan as an immortal tribute to the memory of his wife Mumtaz Mahal.